Replacing your old and worn out windows with new energy efficient models is one of the best ways to save on yearly heating and cooling costs. Along with being easier to clean and care for, our windows are specifically designed with a number of technologies that put it far above traditional windows. At Best Windows Inc., we work to provide the very best product and service. This is a part of our company goal to provide the best quality service, the best quality product, the best possible warranty, and the fastest deliver in the industry. The first and most important step in this this process is the window replacement quote. 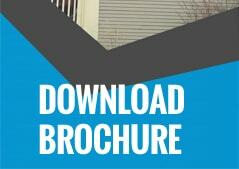 If you are looking for a free window replacement quote, Countryside IL residents have a suggestion for you. 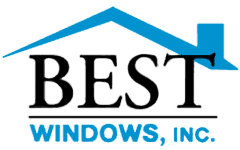 With more then 15 years working in the industry, Best Windows Inc. has made it a personal goal to provide the best in free window replacement quotes. Lets take a moment to review why our quote system is superior and why more and more people are utilizing our significant experience and skill when making important decisions for their home. Best Windows Inc. puts customer satisfaction above everything else. With that in mind, we understand how anxiety provoking it can be to have a window replacement inspection and quote. More often then not, there is an initial sticker shock to get over. The last thing you or anyone else deserves is to be hassled or pressured into buying windows at that moment. With this in mind, Best Windows Inc. has a personal policy to neither hassle or pressure you once the free window replacement quote is done. We will instead work to provide you with the information you need while giving you the time to make up your mind. While we hope you will go with the 2014 Angies List Super Service winners, we understand and respect your decision to go with our competition. However, if you do decide to go with us, then you will receive not only the best windows on the market but also at a price that is lower then the competition. Because we own and produce our own windows, there is no commission or sales fee. This means that our service will be competitive with the competition while also utilizing some of the best and most experienced professional window installers in the area. If you have any questions or would like to learn more, then please don’t hesitate to contact us at (708) 304-2446. You may also visit our website Bestwindows.net for more information about free window replacement quote Countryside IL.